What Cruz, Rubio, Kasich, and McConnell are saying is absolutely at odds with the constitutionally defined duties of presidents and senators. On September 7, 1956, US Supreme Court Justice Sherman Minton penned a note to President Dwight Eisenhower. Minton, a former Democratic senator from Indiana who had been appointed to the Court by President Harry Truman, was in ailing health. He informed the president that he was retiring from the Court. Eisenhower responded with a note expressing his hope that Minton would enjoy his time off. Justice Minton left the Court on October 15, 1956, as the country was focused on that year’s presidential campaign and intense battles for control of the House of Representatives and the Senate. Eisenhower, the Republican nominee for a new term, had a lot on his mind. But he found time that week to fill the vacancy created by Minton’s departure. As the Senate was in recess, the president simply appointed New Jersey Supreme Court Justice William Brennan Jr. to the High Court. Justice Brennan took his place on the bench immediately. And that is a part of the history of how Supreme Court vacancies are filled in election years. Dwight Eisenhower filled a Supreme Court vacancy shorting before the 1956 election with a recess appointment. There is ample precedent for nominations and confirmations in politically contentious periods on the cusp of presidential election years. And there is a long history of nominations made and confirmations delivered during off-year election seasons when control of the Senate is at stake. So why are supposedly responsible Republican senators like Ohioan Rob Portman and otherwise serious media commentators according even the slightest respect to the off-the-deep-end proposal by Republican presidential candidates (included alleged “constitutionalists” Ted Cruz and Marco Rubio) and Republican Senate leaders that a vacancy on Supreme Court be left open for a year so that, if the 2016 election goes their way, a Republican president and a Republican-controlled US Senate can name the successor to the late Justice Antonin Scalia? Why would anyone with access to the historical record and a desire to provide a clear picture of the process of filling vacancies on the nation’s highest court perpetuate the fantasy that a sitting president ought not move to fill an opening on the Supreme Court during the term to which that president has been elected? It cannot be because Obama is a “lame duck.” The US Constitution does not contemplate the term, nor does it entertain any notion of presidency that becomes more limited as its conclusion approaches. Since the approval of the 22nd Amendment to the US Constitution in 1951, every second-term president has been term-limited. But there is still general acceptance, among Republicans and Democrats, liberals and conservatives, that a president’s second term counts for as much as the first. Besides, even those who chose to play the timeline game are confronted with the precedents established by presidents such as Eisenhower and Ronald Reagan, who made Supreme Court nominations after mid-term elections in their second terms. It cannot be because Obama is governing in a moment of divided government. Both Eisenhower and Reagan made late-in-their-second-term appointments as Republican presidents with Democratic Senates. It cannot be because Obama is governing in a moment of particularly deep national division or anxiety, as Ohio Governor John Kasich suggested in Saturday night’s Republican debate. Supreme Court nominees have been named and confirmed in times of war, depression, recession, and social turbulence. The historical record is clear: Presidents make Supreme Court nominations in election years and Senates confirm them. One of the greatest justices ever to sit on the Court, Louis Brandeis, was nominated by Democratic President Woodrow Wilson in 1916. It was a presidential election year that was expected to be closely contested (with Wilson eventually facing Justice Charles Evans Hughes, who resigned from the High Court to become the Republican nominee). Brandeis was a leading progressive (some of his critics decried him as “a radical,” while Supreme Court Justice William O. Douglas would eventually characterize him as “a militant crusader for social justice”). Brandeis was also the first Jew named to the Court, and at a time when anti-Semitism and other forms of prejudice were so widespread and concerning that B’nai B’rith had recently formed an Anti-Defamation League. America was on the verge of entering World War I, corporations were violently suppressing labor organizing and strikes, and anti-immigrant sentiment was on the rise. Wilson had a Democratic Senate, but many of the Democrats were Southern segregationists who had little sympathy for Brandeis’s progressive politics. The nomination stirred plenty of contention and serious opposition, yet Brandeis was approved by the Senate on June 1, 1916. Ten days after Justice Brandeis was confirmed, Justice Hughes resigned from the Supreme Court, creating a second election-year vacancy, which was filled in two months. No one expects Ted Cruz and Marco Rubio to be anything less than ruthless partisans. And if the 2016 race has confirmed anything, it is that the senators from Texas and Florida are as unfamiliar with the facts about Supreme Court nominations as they are with basic premises of the Constitution. 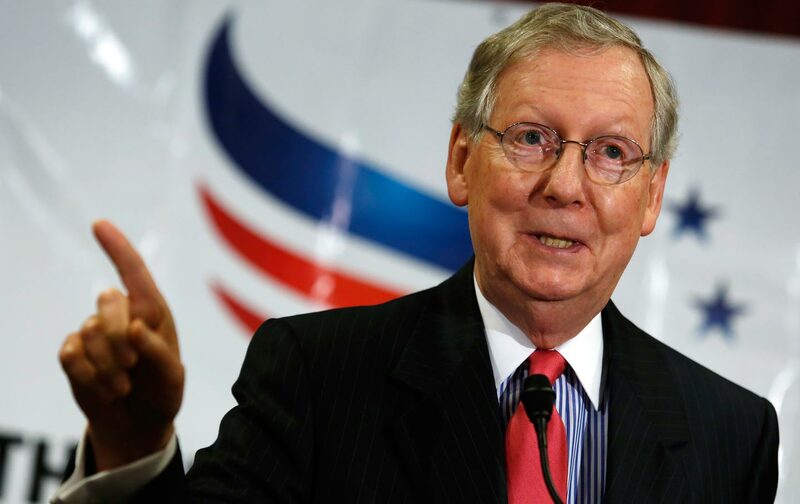 Senate majority leader Mitch McConnell is better informed; yet he has made it clear that his mission is to obstruct President Obama. That certainly creates political challenges when it comes to filling the vacancy created by the death of Justice Scalia. And it is fine to focus on the excesses of partisanship that are now on display. But that certainly does not justify unquestioning repetition of the false constructs, radical rewrites of history, and mischaracterizations of constitutional language, intents, and practices now being peddled by partisans who make absurd assertions without conscience or credibility. Indeed, to treat seriously what Cruz, Rubio, Kasich, and McConnell are now saying is to foster a fantasy that is at odds with American history and with the constitutionally defined duties of presidents and senators.